Unforscene have been key players in the thriving Bristol music scene for the past decade and their previous releases have received support and acclaim from some of the world's top music minds and producers, including Gilles Peterson, Laurent Garnier, Jazzy Jeff and LTJ Bukem, and picked up nominations for the Radio 1 Worldwide Awards. In true Unforscene style "Fingers And Thumbs" ambitiously layers modern and classical influences with their quality original beats and great choice of collaborators, bound together by fantastic, flawless and innovative production. Alice Russell, JTodd and Epcot, each bring their totally unique talents to an eclectic and exciting mix. Encompassing hip-hop, jazz, electronica, soul, and the occasional folk- and blues-inspired moment, this double CD album will no-doubt take up its rightful place in the record collections of many a music lover. Formed 10 years ago by brothers Will and Benji Bower, and later joined by Ben Muscat in 2003, Unforscene taps an amazingly rich mine of musical creativity and experiences, from an exhaustive list of session work as individuals, to their renowned theatre, film and TV composition work (Recent projects include scores for high-profile shows on BBC1, BBC3 and Channel 4 amongst others). Their naturally powerful, cinematic quality comes to the fore on instrumental tracks, such as the bluesy low fi of "68 On Third", the epic modern-classical soundscape of "Sidewinder" and "The Journey", a suspense-filled odyssey which evokes the feeling of a new surprise waiting around every sonic corner. The atmospheric undertone of "Belly Full Of Lead" is overlaid with cleverly used textures evoking a growing sense of global disquiet, but also raising the odd wry smile, and interwoven with lush sonic threads, from soaring synth to tumbling waterfall keys. "See The Light" featuring J Todd takes things into a hazy electronic soul spin, with his distinctive, alluring style taking centre stage. "Let It Ride" featuring Epcot (released as a single in April to widespread acclaim) is hip hop that pricks up the ears with flourishes of electronica, and typifies the Unforscene genre-hopping mastery which makes immediately great records like this more satisfying with every spin. "Alright", a laid-back acoustic song, with a folksy summer groove and jazzy piano, takes things in yet another intriguing direction. Flashes of Will Bower's inspired percussion recall his work as a session drummer/percussionist, specialising in Latin, West African, Indian and Contemporary styles, for artists such as Appliance, 100 Strong and other UK and international acts. Unforscene's music encompasses cinematic funk, modern jazz, broken beats, contemporary classical and acoustic sounds and they continue to use live musicians, high end production and talent from around the world, ultimately to keep music real. Tru Thoughts have signed the band for multiple albums and recommend you check these boys out live and on record. Unforscene was formed 10 years ago by brothers Will and Benji Bower. Benji Bower has been composing/producing music since 1996 and has featured as a session musician for various artists of differing musical styles. He has also worked on several productions as a Musical Director at The Bristol Old Vic Such as "Papa Get Me The Moon", "Were going On a Bear Hunt", and "Aessops Fables" which has been recorded for BBC Radio 4. All gaining nationwide acclaim. Will bower a Drummer/Percussionist has performed various session work specailising in Latin, Indian, West African and Comtempary styles for the likes of Appliance, 100 Strong and other UK and international acts. 2000 saw the release of their 1st Ep "The Sulston Connection". Unforscene produced their debut album "Pacific Heights" in 2001 to critical acclaim, gaining support and respect from some of the worlds top music producers including Jazzy Jeff, LTJ Bukem, Laurent Garnier and Gilles Peterson. The second album "New World Disorder" was released in 2003, which was followed by A BBC Maida Vale session, recorded for Radio 1, and was broadcast on Gilles Petersons Worldwide Show. This gained them a nomination for the Worldwide "Single of the year" and "Session of the year". Since 2003 Unforscene has been joined by Ben Muscat, an established musician/producer and Head Engineer at ModernWorld Studios. Ben has also worked as a session artists working for people such as Ben Westbeech, DJ Die DJ Clipz and Krust@ Full Cycle .UFS Productions was set up as a company to produce music for Film/Tv . Unforscene continue to release music as Unforscene. Since then UFS have been involved in various production projects ranging from remixing, artist collaborations and establishing themselves as TV and Film production composers. Recent projects include: Comics Britannia (3x60) for BBC 1 3 and 4, The Emmy nominated "Cult of a Suicide Bomber 2" Channel 4 Worldwide, "Depth Charge" Keystone Endeavors Worldwide, "A Road Less Traveled" Independent Worldwide, "Five Life Xmas Idents 2006" Channel 5. 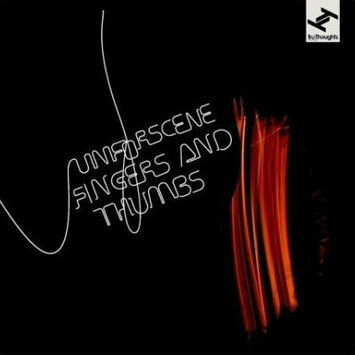 Unforscene's music encompasses Cinematic funk, nu jazz, broken beats contempary classical and acoustic sounds. UFS is producing music of all types, on demand. They also continue to use live musicians, high end production and talent from around the world. Ultimately to keep music real.